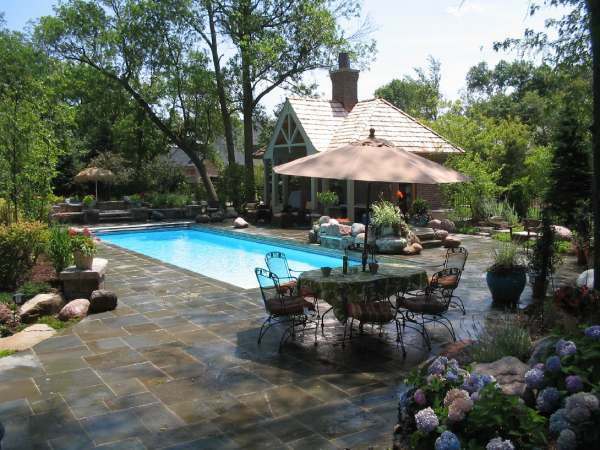 We've got more backyard garden ideas in backyard landscaping photos 2. 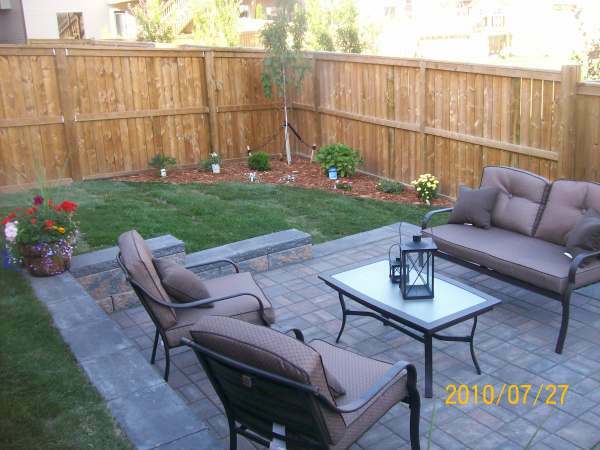 This is a typical small city backyard with a simple and practical design. A small patio for entertaining with a bed and tree in each corner for balance and colour. Don't forget to bookmark us as we are expanding our site every day including hundreds of new pictures for the spring and summer of 2015 for our photo gallery. Did you know we have over 200 pages of how-to information, tips and some great articles to help you to build your very own dream yard? Click on any photo to open a gallery slideshow of all the photos on this page. 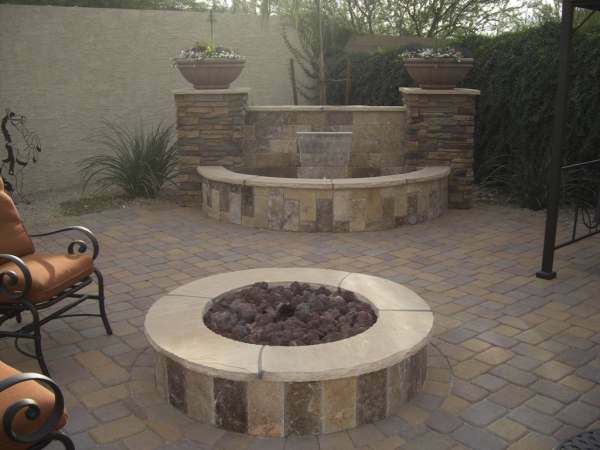 A formal firepit area in a private corner, makes a nice place to retreat for an evening. A multi coloured brickwork floor ties in nicely with the different colours of natural stone in the patio and fountain. 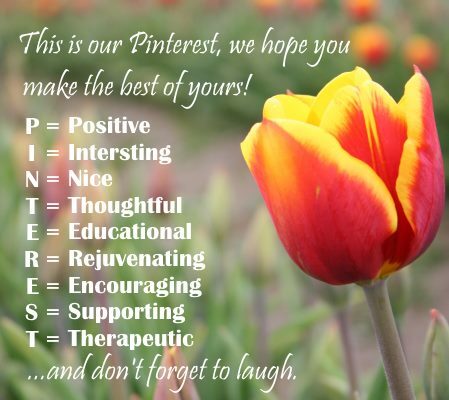 add a nice touch to any design. Separating 'uses' in a yard is an important part of designing. 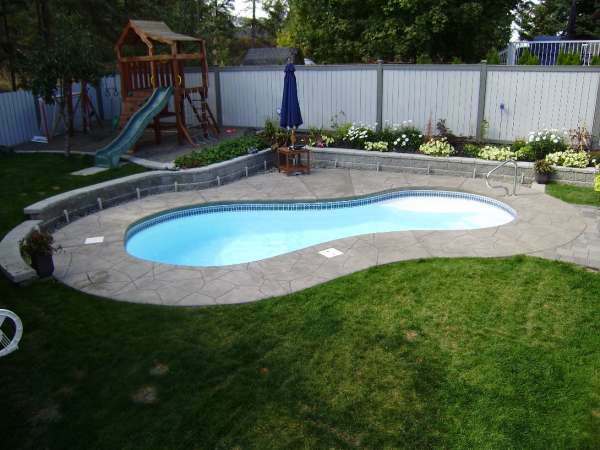 The family area with the pool and lawn, is separated from the kids play area by a low wall. 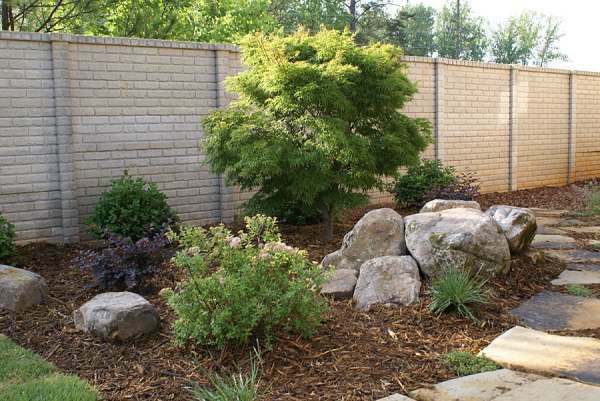 A perennial bed along the fence is a nice feature to soften the wall and fence. 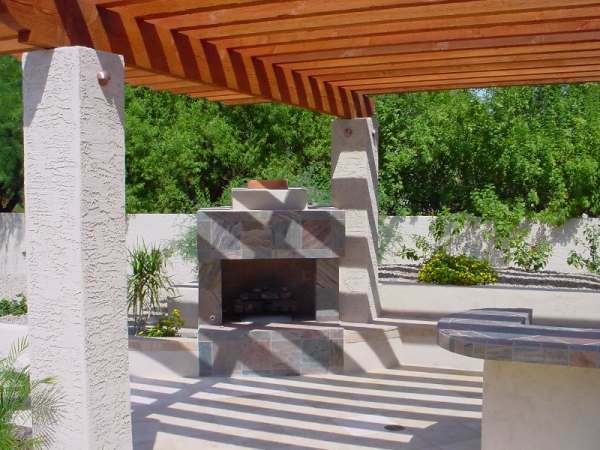 Outdoor fireplaces are becoming more and more popular, like this one situated just off this outdoor kitchen area. Nicely placed shrubs and plants compliment this design in a very arid region. A bed with small shrubs and rocks complimenting the main feature that stands tall in the center. A stepping stone path leads people from the lawn, past this feature and through the mulch bed to another part of the yard. 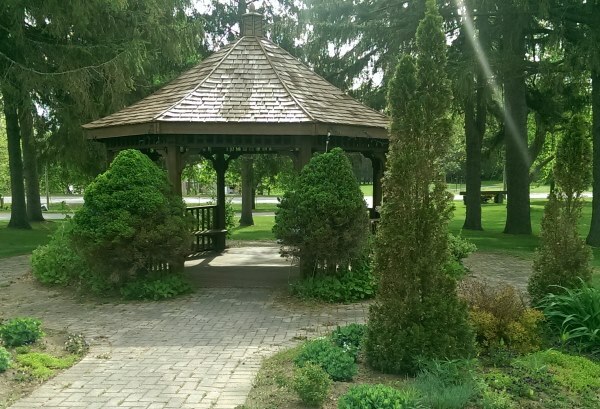 A gazebo is a great addition to any backyard. They provide shelter from the sun and the elements for a nice relaxing place to sit.